Our dentists in Tamarindo offer you outstanding dentistry in Costa Rica’s top surfing destination. Once a quiet fishing village, Tamarindo has now grown up into one of the areas most popular and developed towns. While it is the most developed beach in Guanacaste province, and there are no shortage of bars, hotels and restaurants, there is much more to this place than just partying. The beach is appealing to both adults and kids alike, and some of the best restaurants in the country can be found here. Prices are low due to the fierce competition, and for exploring the attractions of the northern peninsula it makes a convenient hub. The Parque Nacional Marion Las Baulas, of which Tamarindo is part of, is just north and provides the opportunity for visitors to see leatherback turtles who come ashore to lay eggs here. The Tamarindo National Wildlife Refuge comprises of protected forest, mangroves and estuaries which provides fascinating insights into the country’s wildlife and offers interesting excursions, including canoe tours of coastal habitats. From the buzzing center of Tamarindo it is easy to experience nature with miles of pristine beaches, breathtaking views and assorted wildlife. From the Tamarindo estuary you can cross the Rio Matapalo in small boats, and you can walk around rocky headlands to find surf spots and tide pools for bathing. Ongoing developments have not changed Tamarindo’s laidback vibe, and whatever floats your boat you’re sure to find just the thing here. If you are visiting for dental work you’ll find there are plenty of ways to relax and recuperate – and our dentists in Tamarindo to be highly-professional, skilled and accommodating. Tamarindo is a town in the province of Guanacaste, located on the Nicoya Peninsula on the northern Pacific coast of Costa Rica. Why visit a dentist in Tamarindo? Tamarindo is the ultimate beach escape – miles of beautiful white sand and surf surrounds this coastal town, and despite its popularity, it still retains a carefree ambience that makes it so appealing. For patients looking for a typical dental holiday the array of amenities and facilities in the town means you know you will have everything you need at your fingertips, which may be important if you think you won’t be up to doing much for a day or two after your treatment. Dental patients from Canada and the US who are looking for affordable dental options that aren’t long-haul choose this part of the world because of its accessibility – and they can fly into either San Jose, Costa Rica’s capital city or Liberia in the north. This may be of particular importance if you are having extensive dental work, for example implants, which necessitate more than one trip. Tamarindo offers plenty of accommodation across all budgets. From 5* luxury to self-catering apartments or from beachside to mountainside or ecolodge to spa you’ll find something that is right for you. Tamarindo is safe to visit and there are no US government travel advisory warnings for any part of Costa Rica. If you find a trustworthy Costa Rican dentist your care is just as good (if not better) than what you would receive at home. Of course, finding a reliable dentist is not always that easy but there are ways you can find information out, just by searching on the internet. These days people are willing to leave reviews online about everything - and that includes the service they have received from doctors and dentists. A quick search on the internet for your dentist may throw up all sorts of information, as well as reviews. Of course, there may not be much out there, and even so, how do you know that it is reliable? This is where we come in at Dental Departures. We perform criminal and legal background checks on all our verified dentists, and we list qualifications as well as professional memberships and affiliations on our website. Furthermore, we show you high resolution photographs and maps of the clinics, virtual tours and real patient reviews. What’s more, we are contactable pretty much 24 hours a day by toll-free phone, email or online chat – and our Customer Care Team are really helpful and friendly and will always answer your questions honestly. We’re pleased to say that all of our clinics provide warranties and guarantees on their work – and that includes the materials they use too. The length of the warranty varies from clinic to clinic and also depends on what procedure you have had done (dental implants, for example, usually have the longest warranties). Thankfully, something going wrong is a rare occurrence for our patients, but if it does, it will be remedied free-of-charge by your dentist in Tamarindo. Obviously, the warranty or guarantee only covers the dental work. If you have to pay additional travel and accommodation charges to return to your dentist you should look to taking out one of the low-cost insurance policies we have arranged for this eventuality, which will give you total peace-of-mind. 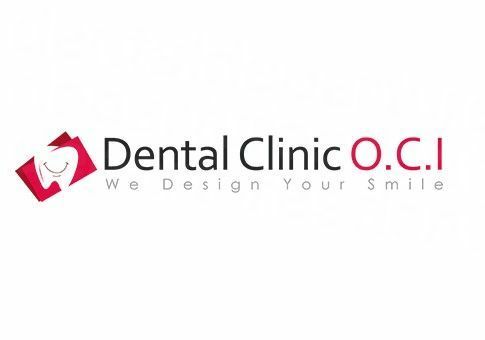 Yes – all of our clinics provide warranties or guarantees on their work – both the work the dentist carries out, as well as on the materials used in the work (eg. On your dentures, crowns, veneers etc). They are usually for a minimum of one year, but often for much longer. English is spoken widely in Tamarindo – it’s not called TamaGRINGO for nothing! US cash is accepted universally by our dentists but it is best to check the individual listings on our website to see what other payment methods are accepted if you are anticipating paying some other way. Many clinics also accept checks (both traveler and personal), bank transfers and debit/credit cards, although debit card transactions may attract a small processing fee of between 3-4%. It isn’t likely your dentist in Tamarindo will be able to accept your US or Canadian dental insurance, but check with your provider before you travel as they may allow you to claim for ‘out-of-network’ expenses. You will still need to pay your expenses up-front but will be able to reclaim them upon your return home if your insurance company allows this. Make sure to get the appropriate documentation to bring with you to your appointment. Our dentists are open all year round and you will find the weather in Tamarindo to be pleasant whenever you visit. Newer hotels will be wheelchair accessible and certain parts of town but it’s not a given that you will find accessibility easy everywhere. Tico’s are friendly and helpful though and you wom’t be short of a helping hand if you need it. Our dentists are all wheelchair friendly with many offering pick-up services from your hotel. Speak to our Customer Care team if you are worried about accessibility as they will always find a way to get you to one of our dentists. Insect bites are a hazard, particularly in the country and wildlife areas so it is recommended you take repellent containing DEET and also something that you can apply to stop the itching if you do get bitten. Be aware of rip tides and strong currents. If you do get caught in the best thing to do is to let the current take you beyond the breaks, where it will then dissipate. You can then swim parallel to the beach and let the waves bring you back in. This is sound advice as many people that drown after being caught in rip tides exhaust themselves trying to battle against it. Relax, go with the flow and you’ll get back. For lovers of the great outdoors Tamarindo has it all. Surfing is one of the major pastimes here and there are plenty of spots along the coast if this is your passion, of if you are a complete beginner. The Playa Grande is popular, regardless of skill level. Tamarindo also hosts a number of international surf competitions throughout the year, and there are plenty of visitors from across the world who come to town to take part. Tamarindo beach is also one of the world’s hot spots for sportfishing. Boats can be chartered to accommodate any size group and includes tackle, bait and refreshments. Full day trips also include an onboard lunch. Still on the water, sailing tours are popular – either to remote beaches or how about a sunset cruise? Or a snorkellig trip to see tropical fish and other creatures? The abundant waters of the Pacific have plenty to offer, and there are also SCUBA diving opportunities. On land there are also a variety of activities to engage in, including bicycling, which is a national sport in Costa Rica. 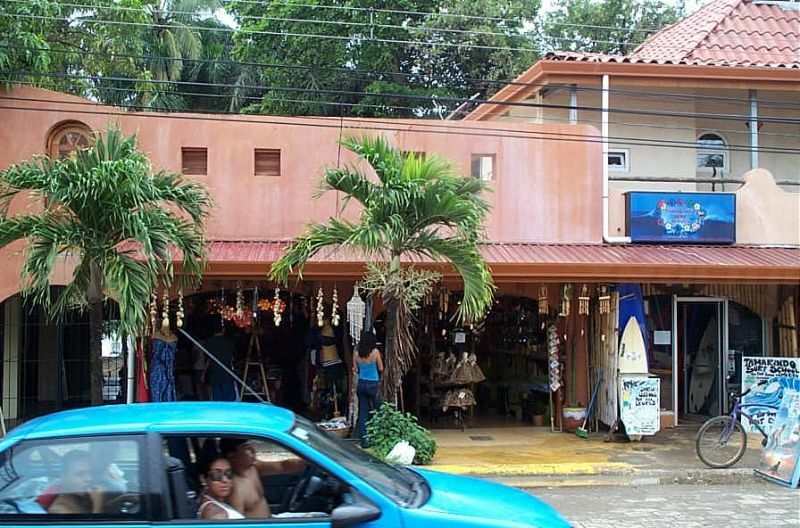 You will find shops that offer cycle rentals and tours in Tamarindo. Adrenalin junkies can get off the beaten path with an ATV tour, but If you prefer four legs to four wheels there are horseriding treks through the forest, or cantina tours. 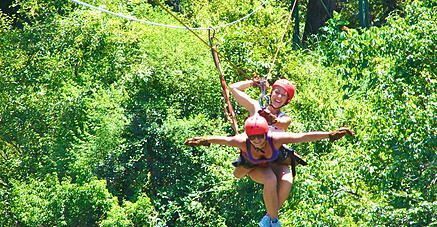 You can experience the canopy of the tropical rainforest with zip-line tours. There’s a variety of destinations available and the views and panoramas you’ll see from high in the canopy will certainly get your heart pumping. Golfing enthusiasts won’t be disappointed with courses designed by Robert Trent Jones II and Mike Young just monutes from Tamarindo. There’s nothing like playing in the lush, tropical surroundings with spectators that include parrots, armadillos and monkeys. 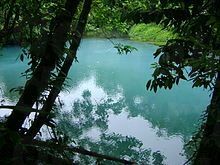 Of course it isn’t too far to get out of the town and into the wilds of the Costa Rican countryside with Volcanoes and mountains to explore, as well as the national parks. There is a domestic airport at Tamarindo Beach with daily flights from San Jose taking around 45 minutes. International airports include the Daniel Oduber Airport (LIR) in Liberia which has connections to some international cities including New York, Atlanta, Miami, Houston and Panama. Otherwise, most people fly into the country’s main international airport, Aeropuerto Internacional Juan Santamaria (SJO), just north of San Jose in Alajeula. Driving in Costa Rica is fairly safe, and it’s a great way to see the country in your own time and pace. There are plenty of car rental firms in San Jose and driving to Tamarindo should take you around 5 or 6 hours. There are also some car rental places just outside of Tamarindo. There are scooter hire places in Tamarindo if this is how you want to get about. Buses are cheap and you can travel to practically anywhere in the country. San Jose is around 7 hours but it is a very scenic trip and there are rest stops because there are no toilets on board. You can hail taxis in the street but make sure you negotiate your fare before you get in. You can book an appointment with our Tamarindo dentists online or via our toll-free number. Our Customer Care team are always on hand to answer your questions and help you find the perfect dentist in the perfect destination for the perfect price.